Measures 10 3/4″ Tall – 6 1/2″ Wide – 5 3/4″ Long. Made of resin (great for the outdoors)! Front door is on hinges (working door). Door measures 3 inches tall and 1 3/8 inches wide and on hinges. NOT A TOY – Miniatures are small items that pose potential choking hazards to small children. Any accessories and fairies pictured are not included. 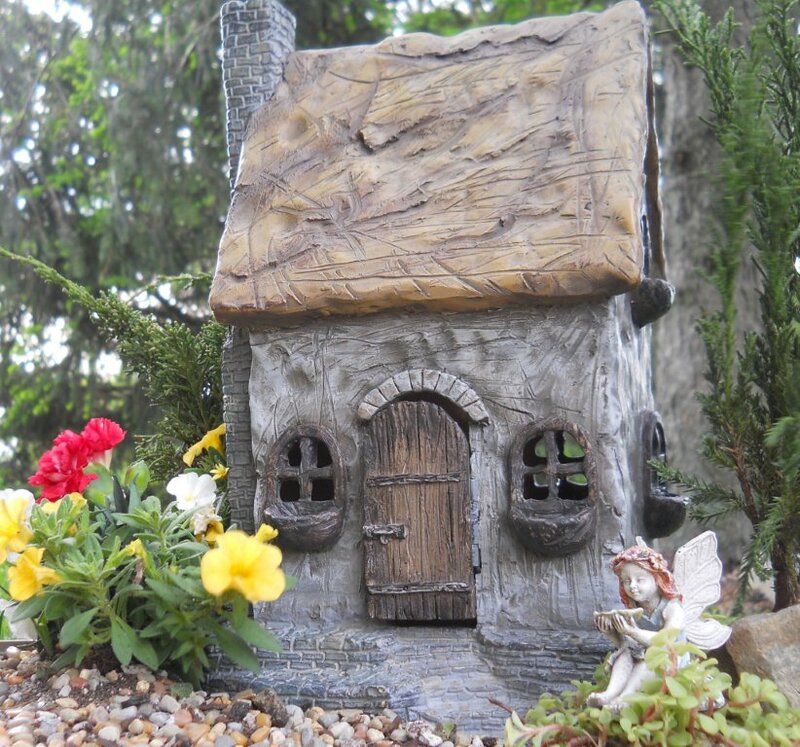 Fairy not included.